It generates new, smooth skin and the wrinkles are gone. Because of the type of energy that’s entered into the skin, the collagen in the skin denatures and then reforms and remodels. So, you will see the results continue to improve over six months after the laser procedure is done. Men and women with moderate to severe sun damage and wrinkles are the best candidates for CO2 Laser Resurfacing. The procedure can be done on the entire face or anywhere that you have significant wrinkles. Some patients with a past history of smoking have significant wrinkles or deep creases around the mouth that can not be erased with filler or removed with less powerful laser technology. In addition, patients need to be able to set aside the appropriate amount of recovery time. It will be 2 to 3 weeks before you can go out and about and can wear make-up. While you will benefit from some skin tightening as a result of the formation of new skin, CO2 laser is not a replacement for face lift surgery for those patients with sagging neck, cheeks and jowls. 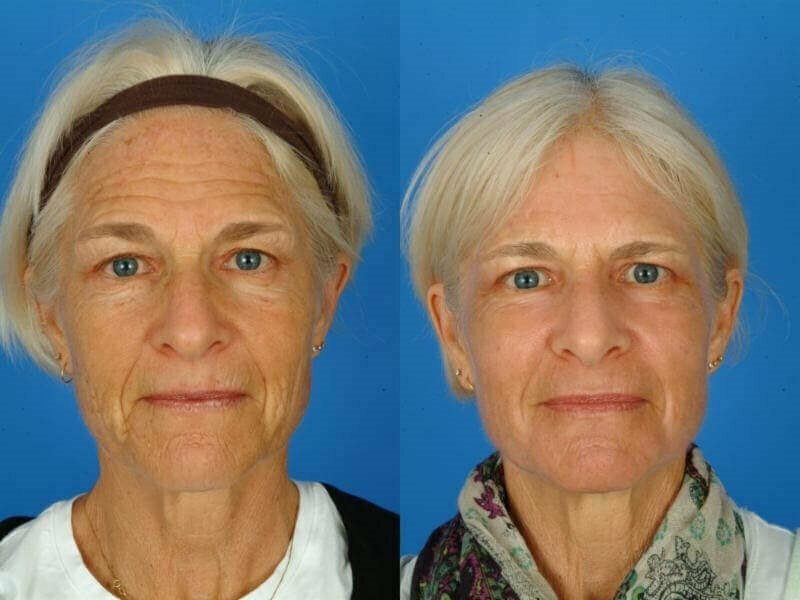 Why are Dr. Kridel and Dr. Sturm the best surgeons for CO2 Laser Resurfacing? The CO2 laser is the most powerful laser modality. And as such, it requires a deft touch and a highly trained surgeon. This is NOT a procedure that can or should be done by an aesthetician. In fact, there are less than 10 facial plastic or general plastic surgeons in Houston that perform this procedure. Dr. Kridel has written multiple scientific journal articles on CO2 laser techniques and has been invited to speak at medical conferences around the world to teach other surgeons about CO2 laser surgery. In addition, at Facial Plastic Surgery Associates, we are fortunate to have our own CO2 laser so that the CO2 laser procedure can be done in approximately 1.5 hours (depending on how much area is being done) in our fully accredited in-office surgical suite or at the hospital as an adjunct procedure to a face lift (which requires an overnight stay). View this video of Houston Facial Plastic Surgeon, Dr. Russell Kridel, talking about C02 laser resurfacing in Houston. It takes a great deal of skill to successfully perform this procedure. Dr. Kridel and Dr. Sturm are laser experts. Dr. Kridel has published scientific journal articles on the laser resurfacing and has taught other surgeons all around the world about his techniques.